Whether a returnable bottle for Cola drinks is registrable under the trademark law. On July 2, 2003, Coca-Cola filed a three dimensional trademark application (No. 2003-55134) for its returnable bottle designating goods in Class 32, which encompasses beer, refreshing beverages, fruit juice and vegetable juice. 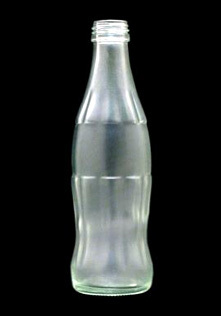 On October 22, 2004, the examiner of the Japan Patent Office (JPO) rejected the 3D trademark application for the reason that the 3D shape of a Coca-Cola’s bottle did not meet the statutory requirements for registration. The examiner reasoned, among others, that under the Trademark Law, Section 3-1)-(iii), a trademark may not be registered when it consists solely of a mark indicating a shape of goods or articles for use in the provision of services. The examiner also noted that the trademark application in question failed in embodying functions as a mark to distinguish the subject mark from other goods under Section 3-1)-(ii).